I feel as if I have been reading up a storm lately, even after getting off to a slow start. 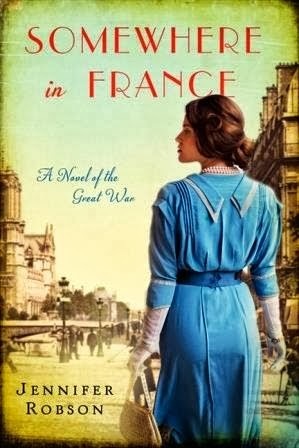 I started the year with a little romance and historical fiction set during World War I, reading Somewhere in France by Jennifer Robson, which I will be reviewing tomorrow (I couldn't resist a book about a female ambulance driver). Then I dove into Jennifer Crusie's Fast Women, January's group read for one of my online reading groups. Fast Women had a little bit of everything from mystery to romance to girlfriend bonding, with a good mix of humor to boot. I began reading Beautiful Creatures after that, deciding now would be a good time to catch the movie (before the end of the month). Somewhere in the middle of that young adult fantasy novel about forbidden love, my attention wavered, and I found myself reading The Final Solution: A Story of Detection by Michael Chabon, which is about a retired elderly detective and a boy and his parrot. All because Kristen from We Be Reading mentioned on Twitter that she was reading Cabon's book this weekend. I have since finished both books and have moved onto Labor Day by Joyce Maynard, which I just began reading yesterday. In audio, I have been listening to Abraham Verghese's Cutting For Stone, narrated by Sunil Malhotra. I kind of wish I had a longer commute to work, frankly. I cannot begin to tell you how much I am enjoying listening to this book. Given how long it is, I imagine it may be the end of next month before I am actually able to finish listening to it. I have a feeling this will be among my favorite books this year--and I'm not even close to being half way through it yet. That is saying something. What have you been reading lately? Anything you would recommend? It was past nine, past time, for the sun had set, the orchestra had begun to play, and hundreds of guests were streaming up the grand central staircase, their voices rising in an ebullient, ever-swelling chorus to the floors above. Past time to call for Flossie, and array herself in the gown her mother had chosen. If only there were armor for occasions like this. I didn't read Labor Day back when it first came out (it seemed like everybody else did! ), but I'd love to get to it before the movie comes out. That and Winter's Tale. I can't read fast enough!!! And I loved Cutting for Stone. For some reason I couldn't find it on audio, so I read it and it ended up being on my top reads for that year. Sandy - I would like to read Winter's Tale before the movie comes out too, although I'm not sure I will be able to fit it in. It's coming out so soon and it's such a long book. I have a couple other commitments that I have to put first. If only I could spend all my time reading . . . The intro makes me curious so I'd have to read more. Thanks for joining us Wendy. Diane - I really enjoyed the book! Sounds like a great start to 2014. Unusual for me but the last three books have all been five star reads which I can highly recommend. Tracy - I think so. It sounds like you are off to a great start too! Three five star books in a row! You have been reading up a storm! The teaser you posted didn't grab me but I don't think it told me enough about the story to make a decision on whether to continue or not. Kathy - Yes, the opening of Somewhere in France doesn't have a strong hook, I agree. It'd be hard to know what it's really about from that start. It's a good contrast though to what occurs later in the book. I like Chabon, but have not read The Final Solution. Adding it to my list! I've read several that I've liked lately and have a few reviews scheduled. Perhaps my favorite so far this year isThe Voices of Heaven. Jenclair - The Final Solution was my first by Chabon. It's such a little book--maybe even more a novella. Thank you for the recommendation of Voices of Heaven! I started off slow, too, but had a great reading week last week. This week I need to finish a chunkster so might not get to much else. Hope you continue to read great stuff. Kelly - I saw that! 9 books for the read-a-thon. That's awesome, Kelly. :-) Good luck with that chunkster! Hmm - I'm not dying to read it based on the first paragraph. But, I do need to read Cutting for Stone…everyone raves about it and I keep not picking it up. I need to change that! Sarah - As I mentioned to Kathy above, I have to agree that it's not the most enticing intro. It's a nice contrast to what the main character's life becomes though once she leaves home and enters the working class world. It's taken me forever to get to Cutting For Stone. I wish I had more time to listen to audiobooks. I will get through it though--and I just know I'll love it. I have never read anything by this author, but you have my interest. I'd keep going. Yvonne - This was my first by Robson, but it definitely won't be my last. Like your book choice, Wendy. I love stories set during that time frame. You're off to an impressive 2014 reading start. I'm only into my second book of the year...hope I'll be able to pick up the pace. Catherine - I do as well. It was such an interesting time in history. Thanks for stopping by! Paulita - I really enjoyed the book. I think one of my favorite scenes was when they were in Paris. It was so romantic, even in the middle of a war. The beginning paragraph raises lots of questions. I'd like to read more as the setting is a place I'd love to be, if only in my head. I'm glad you enjoyed the book. I just loved Cutting for Stone, I read the paperback version. I expect the audio is wonderful. I hope you enjoy it. I recently finished Labor Day and plan to review it this week. I thought it was fantastic, I really enjoy Joyce Maynard's books. I haven't read Somewhere in France yet but I have it sitting on my nightstand waiting for me. I'm so glad you found it as good as it sounds. I thought a female ambulance driver in France, WWI was a no brainer and completely irresistible I'm looking forward to your review! Oh...any yes, I would continue reading Somewhere in France, without a doubt. Keep up the great reading! Love your newly designed blog heading! Amy - Part of me wishes I was reading Cutting for Stone, and I suppose I could since I have a copy of the book. It just seems easier right now to listen to it. I will look forward to your review of Labor Day. I am nearly done. I hope to finish it today during my lunch hour. I felt the same way when I read the description of Somewhere in France. LOL I hope you enjoy it when you get to it. Glad to hear you are enjoying Cutting For Stone. I read the book and even though it is a long story, I never felt like it was tough to get through. Hope you continue to enjoy it! I can't wait to hear your thoughts on Beautiful Creatures. I read that one last year and while I didn't love it, I do think that I will eventually read the second book. The movie I didn't care for though. It sounds like you have been reading lots of good books! I started Cutting for Stone on audio last year but my brain was never in the right place for it. I own a paper copy so think that'll be the way that I go. I look forward to your thoughts on Labor Day. I saw the preview recently and it looks good. Trish - Cutting for Stone is definitely a book one has to be able to give full attention to. It's taking me even longer to get through as a result. I'll get there though. I'm enjoying it when I am able to listen to it. I can see why reading it in print though might be better--then you can go back and read passages over again as you go. There's so much detail! Les - I am so glad you enjoyed it so much! I haven't made too much progress in it this past week, but I hope to do better this week. When I am listening to it, I am totally swept up into the story. I just love the narrator's voice.